and removed all of the cushions. 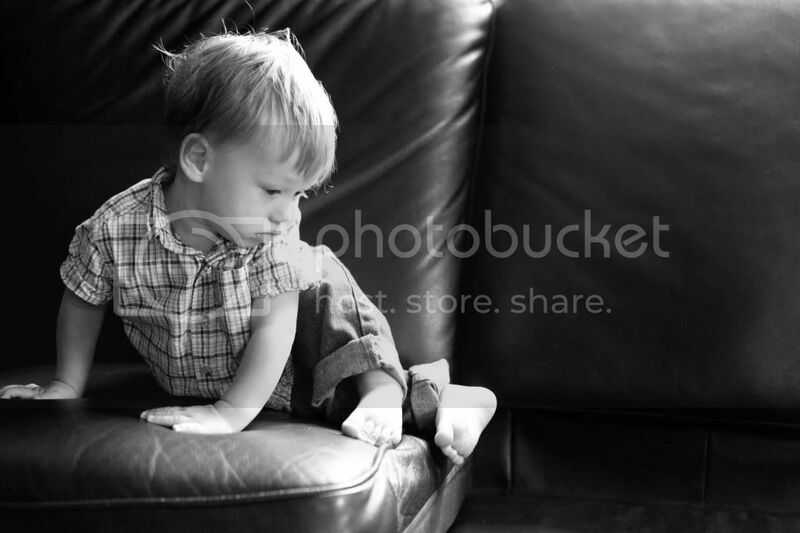 Reid thought it was fun to crawl/run all over the cushion-less couch. I love the look of study he has in this picture.